An intimate look at the Nashville music and entertainment scene featuring photography of such artists as Emmylou Harris, John Prine, Kacey Musgraves, Holly Williams, Chip Esten, Ashley Monroe, Guy Clark, and many more, with personal stories about Nashville from the artists themselves. Photographer Sonya Jasinski and Emmy-nominated singer/songwriter and photographer Kate York have been participating in and documenting the contemporary Nashville scene for more than a decade, capturing intimate behind-the-scenes moments of the city’s most celebrated musicians, songwriters, producers, and performing artists. From candid photographs taken in the homes of Kacey Musgraves and Emmylou Harris and backstage moments with Luncinda Williams and Holly Williams to performance and studio images of some of Nashville’s brightest stars, Nashville: Behind the Curtain offers a one-of-a-kind glimpse into the lives of those who call this creative mecca home. "In their new book of photography, Sonya Jasinski and Kate York capture the off-stage lives of music makers and other Nashville stars. 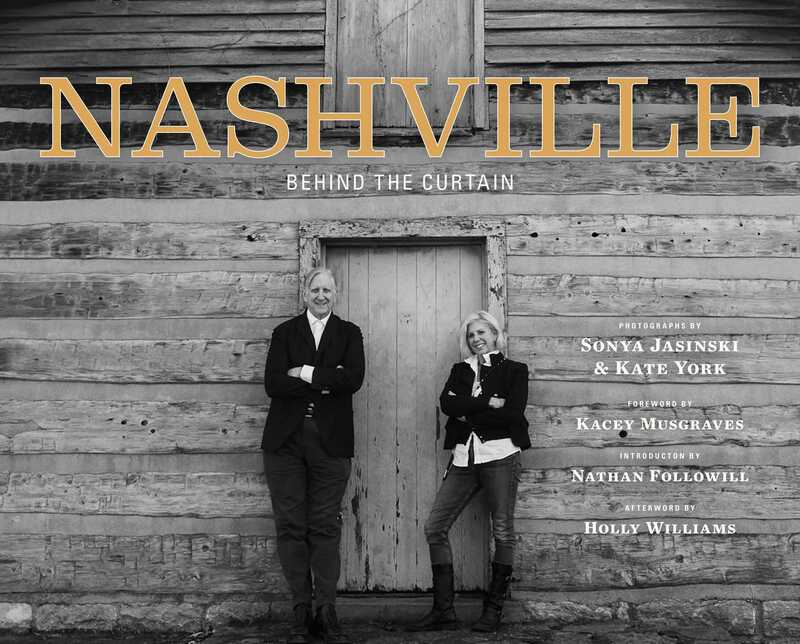 'Nashville: Behind the Curtain' includes candid shots of Kacey Musgraves, Emmylou Harris and Lucinda Williams at home, backstage, in the studio and on the road, taken by London-based Jasinski and Nashville's York." "It is fitting not only because it references those in-between, intimate moments – behind the scenes in their natural environment – that we see in these pictures, but because it sums up the pure and honest heart that still beats somewhere under Music Row’s business dollars. That after all the hits and the flashy cars and the celebrity limelight is gone, all anybody really wants is to make a great song that touches people. This book touched me, and reminded me of the magic that still fills my heart every time I think of that place."